Since 2016 the Acoustic Guitar Meeting becomes the Acoustic Guitar Village presenting two appointments: “Street Music Edition” in Sarzana in the month of May, “Full Edition” in Cremona in the month of September-October. Acoustic Guitar Meeting has been held for 18 editions every year in the month of may in the City of Sarzana (La Spezia, Italy) inside the Fortress Firmafede, fortified citadel in the XV° century, and in the historical center of the town, in collaboration with the local town hall of the City of Sarzana, Liguria Region, guitar organisations, partners and private sponsors. Created and organised by the Cultural Association “Armadillo Club” of Sarzana, under the artistic director of Alessio Ambrosi, president of the association, who together with the members of the association work on the production of the festival. 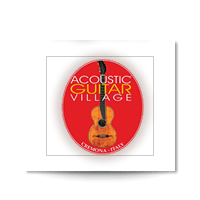 The Meeting began in 1998 and has become one of the most important international events dedicated to the acoustic guitar and its music, a focal point in the field of artistic research, the building and retail of this fascinating widespread musical instrument. The artistic project of the meeting looks to explore the musical world of the acoustic guitar, through a well-articulated and complete programme that starts every morning on each day and finishes with evening concerts presenting outstanding international artists. Training course “The lutherie and the guitar didactics”. Days of full immersion with a training programme that looks at the building of the instrument and the various techniques for music performance. The courses are held by established international teachers. Contest for emerging guitarists “New Sounds of Acoustic Music”, dedicated to young guitarists. It has become an important point of reference and launches every year new professionals and future virtuoso of this instrument. Exhibition of lutherie, import, vintage, accessories and publishing for the acoustic guitar. A trade show with stands full of splendid string instruments, accessories, specialist publications and books, which is open every day both to the public and those in the field. 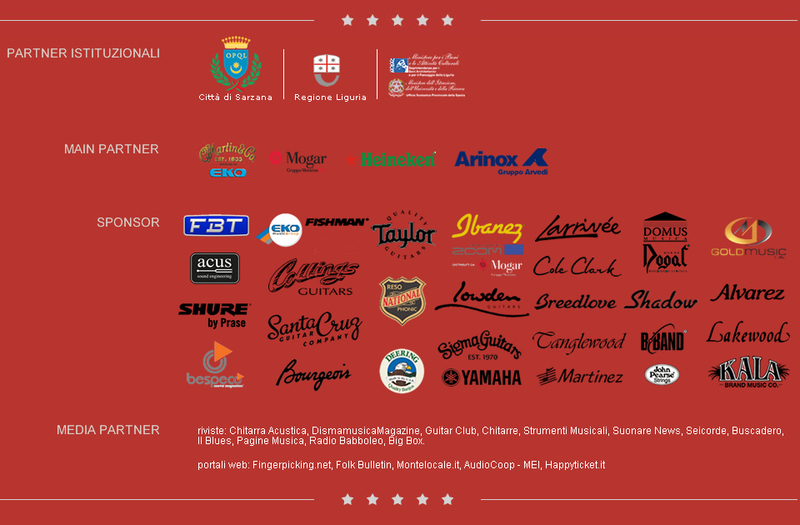 It is today one of the most important international trade shows, with the presence of the best luthiers, guitar makers, companies and international brands. Conferences and educational seminars complete with excellent guests from various fields of the acoustic guitar, from journalists and qualified experts to established teachers of the instrument and importers, luthiers, manufacturers and other associations in the field. 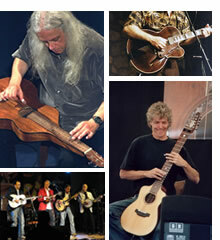 Concerts with the best international acoustic guitarists. Solo artists and in ensemble, dozens of artists from all over the world have been presented over the years. It wants to celebrate artists who have written important music and songs for civil rights and social changings by using acoustic guitar and voice. 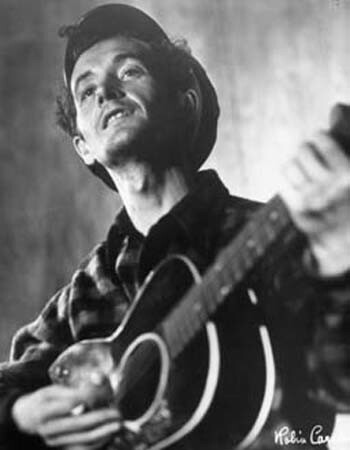 1st edition, May 2009, the Award has been attributed to the memory of WOODY GUTHRIE, father of the new folk song. His daughter, Nora Guthrie, has collected the Award. 2nd edition, May 2010, the Award has been presented to JACKSON BROWNE, who perfomed beautifully for many italian fans. 3rd edition, May 2011, the Award has been attributed to the memory of VICTOR JARA and VIOLETA PARRA and collected by Angel Parra, Violeta’s son. The Award is a beautiful bronze sculpture of the artist Luigi Mainolfi.